Really focusing on motion AT the shoulder joint (versus movement OF the shoulder joint) we’ll look at not only the passive range of motion, but also the strength to move about the joint, and opening up the musculature that might be inhibiting some of the motion. 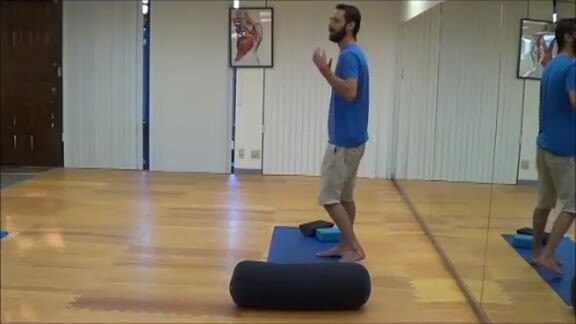 A reprise of the anti-hyperkyphosis series with a look at not only mobilizing the t-spine (thoracic spine) but also being more aware of our posture throughout the day to create new adaptations for the spine and supporting musculature. Just can’t get enough of this stuff! We will work on increasing range of motion about the shoulder joint, and well as scapular (shoulderblade) stabilization and length of the pectoral (chest) muscles. Bonus: a trick your kids will love!